A couple of good links that explain The Panama Papers and why it’s important. 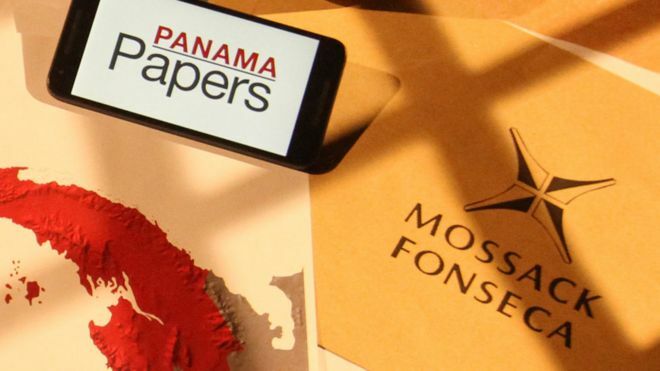 What You Need to Know About the Panama Papers – And Why It Should Piss Us Off – video in the link that explains how people and companies have hidden $20 trillion that could be used to build infrastructure and just in general make life better for everyone. The Panama Papers prove it: America can afford a universal basic income – the money is there. The Tax Justice Network estimates the global elite are sitting on $21–32tn of untaxed assets. Clearly, only a portion of that is owed to the US or any other nation in taxes – the highest tax bracket in the US is 39.6% of income. But consider that a small universal income of $2,000 a year to every adult in the US – enough to keep some people from missing a mortgage payment or skimping on food or medicine – would cost only around $563bn each year. Just think… there are money management and frugality bloggers out there who write entire blog posts about how working poor shouldn’t get EITC and tax refunds and make poverty sound like a moral failing who won’t write a single word about how wealthy elite hoard money that could educate,feed,house, and heal society. The latter is about as immoral as it gets. Previous Previous post: Giving poor people houses,food,and jobs! Next Next post: I’m this cat. It takes a serious level of self-deception to – even for a moment – think that a human being (ANY HUMAN BEING) doesn’t deserve to eat, get basic medical care, or live in a safe environment. (That’s not a be-all-end-all list, it’s just my top three.) It’s shocking. I know some people who think this way and if you chip away gently at the belief it can be cracked or even in rare cases shattered, but how does someone get to such a callous place to begin with? I don’t understand. My personal belief system holds that understanding is the first step to change but this one stumps me.